Fact: I love it when other people cook for me. I think that most moms will agree that it’s so nice when someone prepares a meal for us. Most of us are the executive chefs of our households, and so being able to sit and enjoy a home cooked meal that we didn’t have to make ourselves is just awesome. Right? I also think that I totally won the lottery when it comes to having friends who cook well. See, I have Mish and Sab in my life. Imagine, Sab once had another friend, Marge, and I over for a wala lang lunch, and she served us no less than a bagoong paella with bagnet! And then one time, when Mish and I were getting some work done at her house, she had a tray of truffle mac and cheese ready for us for lunch! I feel so spoiled. 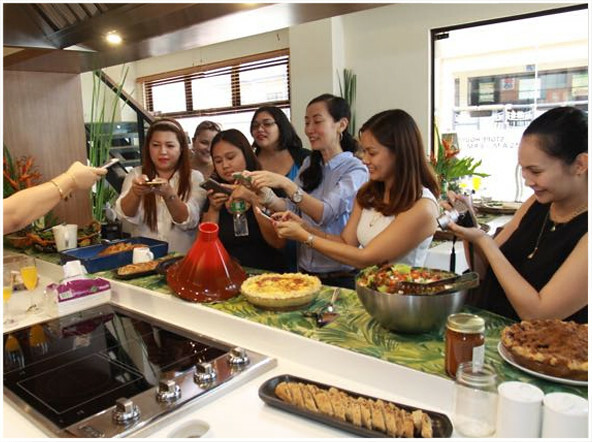 I love the fact that these two brilliant cooks decided that it was time to collaborate so that they could share their amazing kitchen delights with other moms. And so Mothers Who Brunch was born. It was so much fun hanging out with this group of lovely women. Mothers Who Brunch reminded me that spending time with your girlfriends is important, too. I wish I could say that the photos I’m using for this post are mine. But I can’t. Because this little genius came to the event with a camera that was super duper lowbatt! Blame it on the crazy summer we had (the event happened in May, I know, so long ago) shuttling back and forth between Alabang and Cainta while my father in law was in town. So before anything, I wanna credit Gilbert Gutierrez for the photos. Thank goodness Sab and Mish thought to hire a photographer for the event! I think it’s a nice touch, and a great way to make sure that the moms who were there got to really relax and just enjoy without any worries. Bonus: We all got head shots, too! Yay, I finally have a photo that I can use (that isn’t from my wedding lol) when people ask me to send one. I always feel awkward when having my photo taken. I feel even more awkward when browsing through photos of myself! I arrived pretty early and said my hellos to the moms I already knew. And then the lady standing next to me turned around, and all I could do was stutter and stammer like the true fan girl that I am of Joey of 80breakfasts.com. 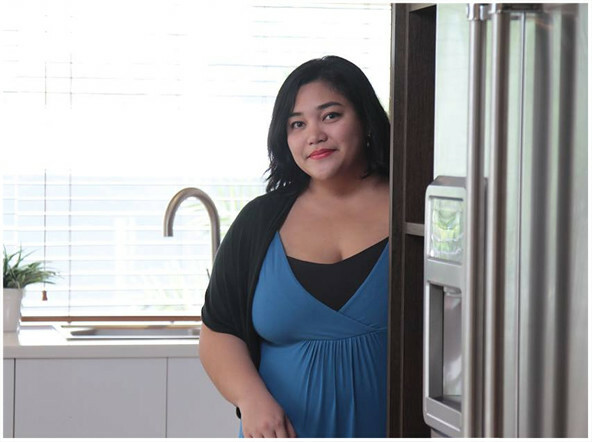 Her blog and her column on Yummy Magazine were some of my go-to places for help and advice when I first started learning how to cook! Now we are friends, and I still feel kilig over it. 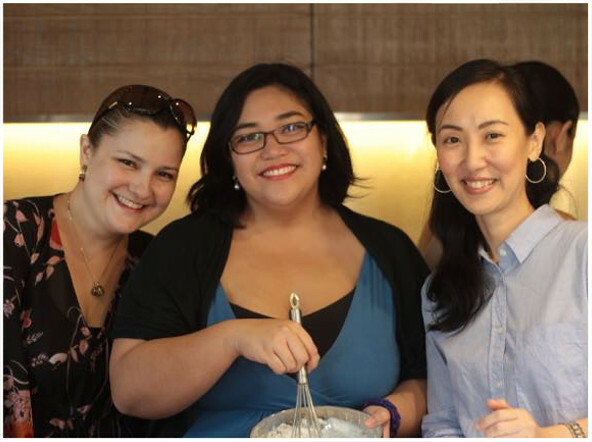 Whisking away with fabulous home cooks, Joey and Tina. We started off with a quick tour of the Viking Kitchen showroom. Someday, when I get the chance to build my dream kitchen, I would love to have a Viking range. And fridge. And oven. And microwave. Even a Viking knife. The whole place was basically every cooking mom’s dream come true, and I was as excited to try the equipment as I was about meeting Joey. Lol, fan girl overload. 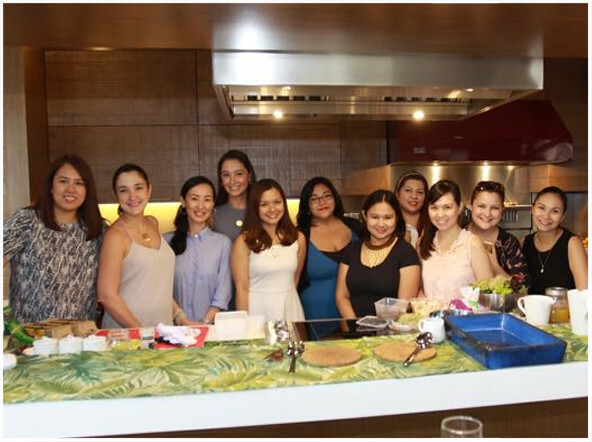 Getting into the kitchen with the Mothers Who Brunch moms was so much fun, and everything that Mish and Sab picked for that morning’s menu was amazeballs. I had a little bit of everything, twice! 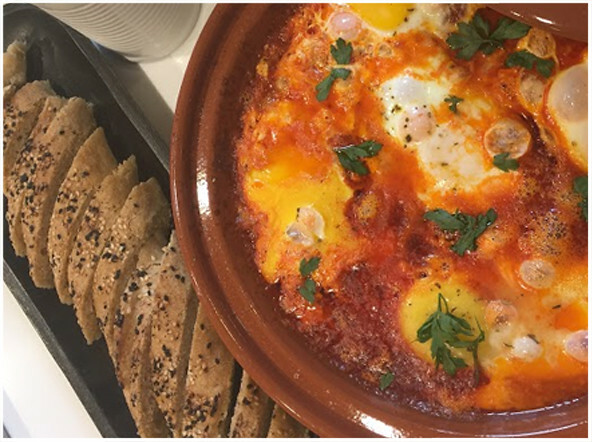 Tomato-Chorizo-Egg Stew – This was my favorite, hands down! Get the recipe here! 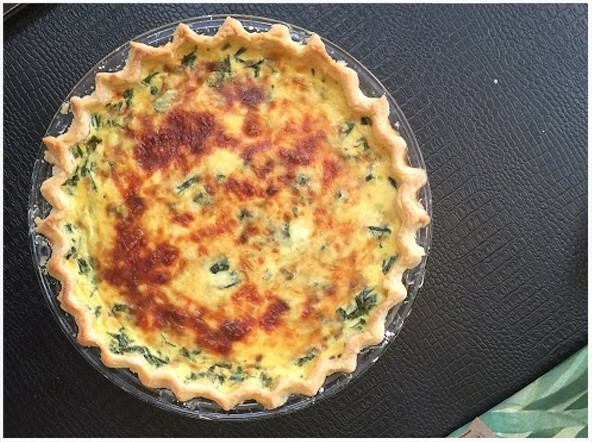 Kangkong and Kesong Puti Quiche. When I grow up, I want to be able to make pie crust just like Michelle. 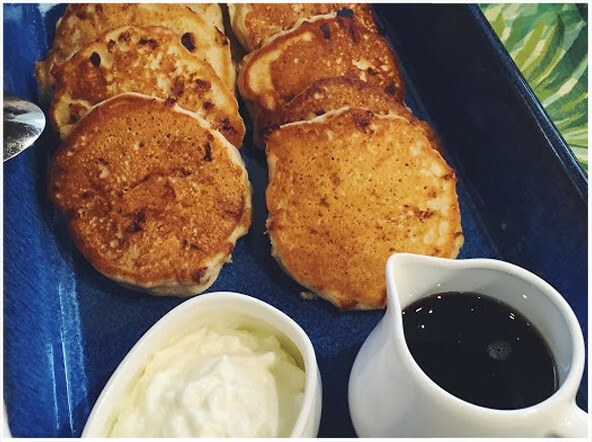 Cottage Cheese and Mango Pancakes – I cannot wait to make this at home so the boys can try it. So fluffy, so good! 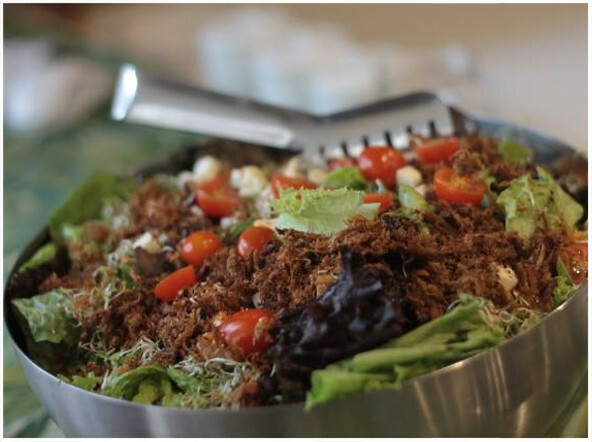 Pinoy Breakfast Salad – This one has salted egg and adobo flakes. Ohmygulay! Recipe here! 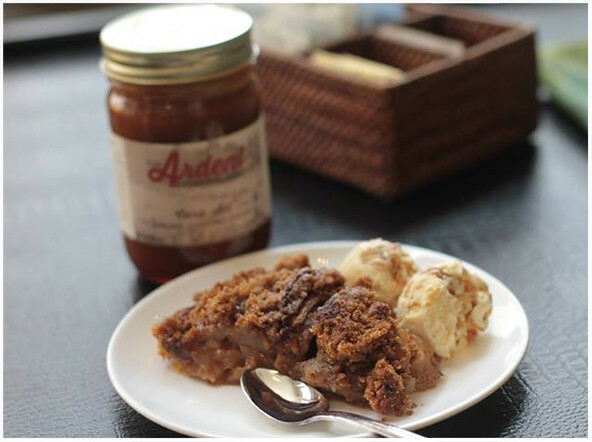 And for dessert, Apple Pie by Momma N Manila and Homemade Ice Cream by Sinfully Sabrina. Sweet tooth heaven. In true blogger fashion, photo muna bago kain. To be honest, I’m not yet super confident when it comes to my cooking, so I rarely cook for anyone other than family. When Sab and Mish first asked me to share a recipe for the booklet that they were making as part of the giveaways, I was thisclose to backing out. True story. Brunch recipes to share! I love this idea. Pure genius. I decided to woman-up anyway and share my recipe for Banana Swiss Miss Muffins. I’m glad that I did because I’ve gotten positive feedback about it, which was a huge confidence booster. 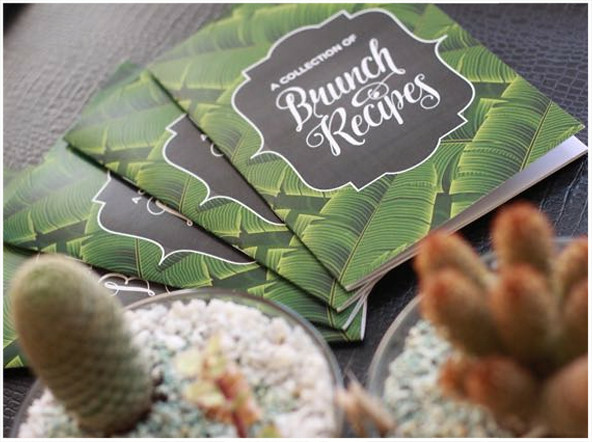 The recipe booklet (printed by Imagemax Digital Printing) was only one of the many, many, MANY goodies that we got to take home that day. 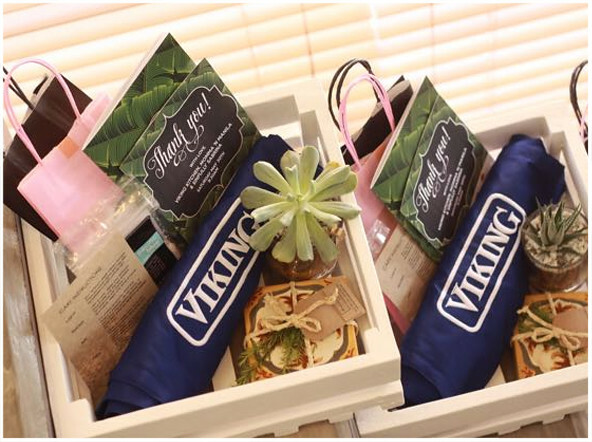 Nothing can compare the the Mothers Who Brunch swag bag. It really felt like Christmas in May. 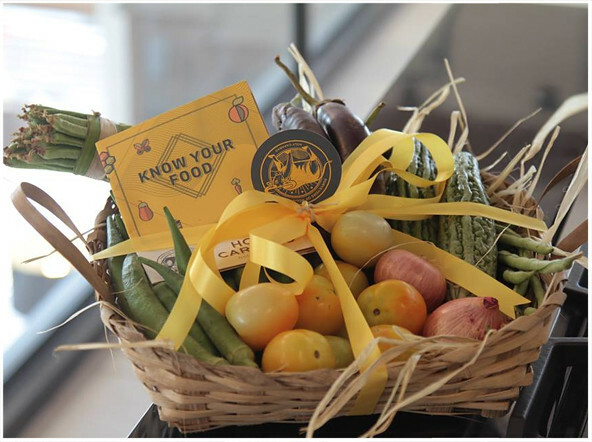 I loved this pinakbet basket from Holy Carabao Farms the most among all of the giveaways. I enjoyed every bite of the delicious veggies included here. Yes, even the ampalaya and okra. And here’s basket number two! Inside basket number two were gorgeous coasters from Boqueria Lifestyle Market (who also styled the venue beautifully), gift certificates from Bikram Yoga Alabang, Coco Nail Studio and House of Monogram, yummy stuff for the kitchen from A Vanilla Story, The Vanilla Co and Lucky Merchant Salt, pralines and a cake from Choco La Bella, a beautiful little cactus from Sombra Verde, and Hurraw Chai Spice Lip Balm from Cutieverse. Wow. Like I said at the beginning of this post, I feel like I won the jackpot with Mish and Sab. And no, I don’t mean that only because they feed me and make me happy. These two are amazing women that I am proud and honored to call my friends. Through them and Mothers Who Brunch I’ve been able to meet more wonderful moms, and so I can say that they definitely make my life richer. I can’t wait til the next one!